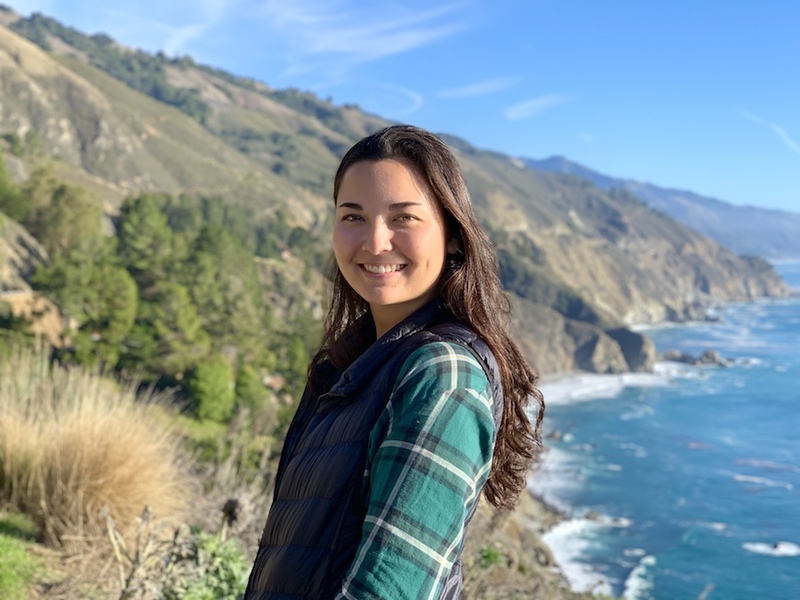 Ariel Pezner is a second-year PhD student at Scripps Institution of Oceanography at the University of California San Diego. She is from the suburbs of Los Angeles, specifically La Canada Flintridge, and earned her bachelor’s degree in environmental science with minors in conservation biology and atmospheric and oceanic sciences from UCLA. Pezner now studies biological oceanography in the lab of Andreas Andersson, an associate professor in the Geosciences Research Division. Her research now focuses on the impact of human-caused stressors on reef-building corals. We talked with Pezner about what made Scripps stand out to her, her passion for coral research, and more. Ariel Pezner: Aside from being a world-class research institution, Scripps has amazing resources and opportunities to offer its students. Being able to take classes from professors who are leaders in their fields, having access to tools I need to do field research such as the scientific diving program, and participating in science outreach and communication at Scripps have been important in shaping me as a researcher and scientist. I also loved the idea of being at a big oceanographic institution where there are so many people working on diverse projects within oceanography. Having such a large oceanographic community in one place makes it easy to collaborate with researchers in other fields, which is really helpful for the kind of interdisciplinary work that I want to do. Perhaps most importantly, I ultimately chose Scripps to be able to work with my advisor, Dr. Andreas Andersson, because of our shared research interests, his mentorship style, and the wide variety of opportunities for me to do field work as a part of the the Scripps Coastal and Open Ocean Biogeochemistry Lab. AP: My research focuses on the impacts of human-induced stressors such as ocean acidification and hypoxia (low oxygen conditions) on reef-building corals. Ocean acidification, resulting from carbon dioxide emissions changing ocean chemistry, and hypoxia, resulting from both ocean warming and local nutrient pollution, are posed to impact marine ecosystems across the globe in the coming decades, including coral reefs. Data for my research mainly comes from seawater samples we collect over reefs, coral growth and calcification measurements, and data recorded from instruments we’ve deployed in-situ. For some of my work, I've been analyzing the natural temporal and spatial variability of water chemistry on a Bermudan coral reef. More recently, I've been researching the water chemistry and calcification rates of corals found in a seagrass meadow in Dongsha Atoll, Taiwan, an ecosystem that naturally has large fluctuations in acidity and oxygen concentrations from day to night. My work characterizing the natural variability of carbonate chemistry on reefs, as well as experimentally testing how corals are affected by acidification and low oxygen conditions both together and alone, will help us better understand how coral reefs will fare under future change. AP: I knew that I wanted to go into a field of science that dealt with human impacts on natural systems after taking AP Environmental Science in high school. Once I took my first oceanography class in undergrad, I realized that this field was the perfect fit for me because it was interdisciplinary, allowing me to combine my interests in both biology and chemistry, and also had a strong tradition of examining the impacts of human-induced stressors on the ocean. I have also always loved the ocean, swimming, and snorkeling on coral reefs, so going into oceanography was a perfect way for me to combine my passions for science and the ocean. AP: My day-to-day life tends to vary a lot at Scripps, which is part of why graduate school is so exciting. Most of my research is based on data collected in the field far from La Jolla, so when I'm not in the field, I'm either in the lab running water samples on instruments that measure various aspects of water chemistry, or I'm in my office on the computer analyzing data (from water samples we've collected, coral core scans, or instruments we deployed in the field) and writing up my results. I'm also fortunate to share an office with one of my labmates, Travis Courtney, because it has made it really easy for us to discuss methods, new papers, and life in general. Some days I might attend lectures for a class, or the weekly seminars by visiting scientists. Outside of my research, I try to take advantage of Scripps' amazing location by snorkeling or diving on clear days, enjoying the music scene in San Diego, going on runs, and spending time with friends at the beach or cooking. AP: Being able to ask a scientific question, design a way to answer it, and then watch all the data points come to life and tell a story is always exciting to me. I also love that science and research allow you to be creative, especially when you're doing fieldwork in far flung places and you don't always have access to the traditional tools of your trade. It's exciting to collect water samples from a patch reef on a kayak or jetski, but it's also exciting to come home, run those samples, and see what the data is telling you. Plus, since my work tends to be so interdisciplinary, I’m always learning new skills and methods, which I also find exciting. Coral reefs are important ecologically, socially, and economically for so many people, and I love knowing that our research is helping people better understand such a fundamental system. AP: I was fortunate to grow up in a family of scientists who always supported my interests, and encouraged me to follow my passions. My dad is a physician and my mom has a PhD in Radiation Physics, so I never saw getting a PhD as anything but the normal thing to do in science (plus I've always wanted to be just like my mom). And, of course, all of the mentors I had during my undergraduate research experiences from Hawai’i, to California, Mo'orea, and Rhode Island all taught me important skills about how to be a better researcher, team member, writer, and communicator, and I am extremely grateful to have had the opportunity to work with them. Since starting at Scripps, my advisor has been a great mentor, giving me guidance when I need it, but also the freedom to come up with projects I'm passionate about. I have also found mentorship from the students in my lab who are further along in their degrees, which has been really helpful. AP: Figuring out your work-life balance can be especially hard for graduate students. Sometimes I feel like I have more work to do than hours in the day, and so determining out how to prioritize things, be efficient, but also learn when to turn off my computer and enjoy the sunset are all skills I'm still learning. In addition, for someone who travels for weeks at a time for field research, being away from home, family, and friends for extended periods of time can be difficult. AP: After finishing my PhD at Scripps, I hope to complete a postdoctoral fellowship and afterwards continue doing research at an academic institution or research organization. As a multiracial woman of color, I hope to continue serving as a mentor for younger scientists and to encourage them to engage, ask questions, and become as fascinated with science as I have. I'd also like to continue to be involved in science communication and outreach because as scientists we have a duty to share our knowledge with the rest of the world, particularly in fields related to climate change and human impacts on the environment. You can find Ariel Pezner on Twitter @apezner and Instagram @arielpezner. You can find the Scripps Coastal and Open Ocean Biochemistry Research Group on Twitter @scoobyresearch and on Facebook @anderssonoceanresearch.